The Mission of our Children’s Ministries program is to ensure that children come to know their church as a safe place to worship, learn about God and our Church, and develop a strong faith community. 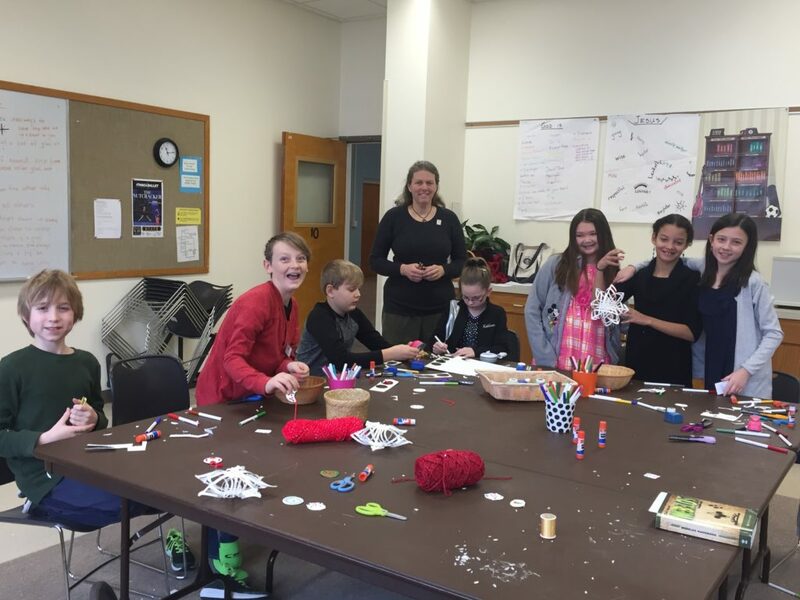 The programs support the religious and social education of infants through 6th graders through church school, children’s worship experiences and other activity events throughout the year. 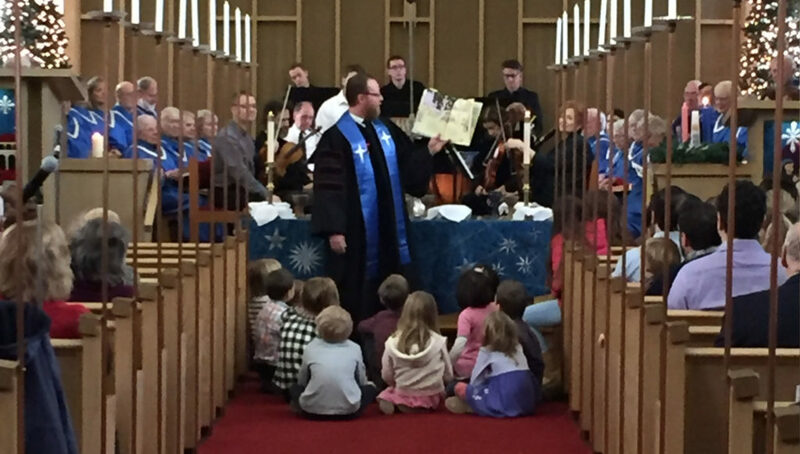 Children’s Worship at First Congregational Church is designed for pre-K through 3rd grade to experience and learn about God in a way that is meaningful and engaging. The worship service takes place during adult worship in a separate child oriented space. Our approach uses a sensory motor style of storytelling as a primary means for encountering God. Other elements of worship are also practiced including songs of praise, offering, prayers, and response to God’s word. 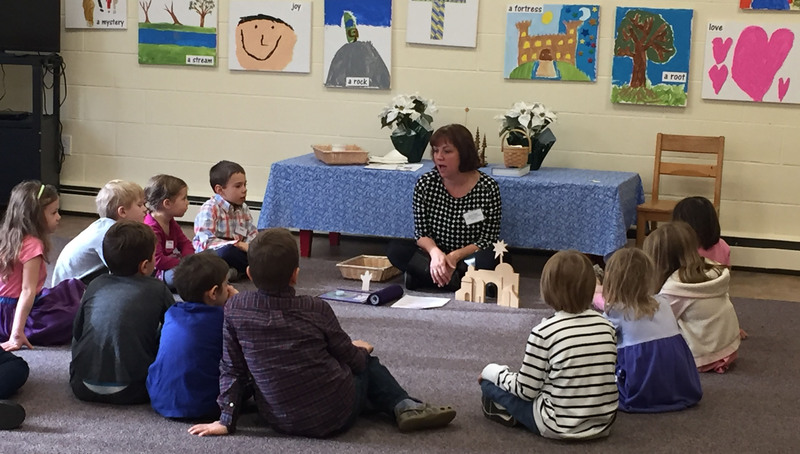 Children’s Worship is led by our Director of Children’s Ministries and an additional adult volunteer. 4th-6th graders are invited to join us for their own program during the worship service. 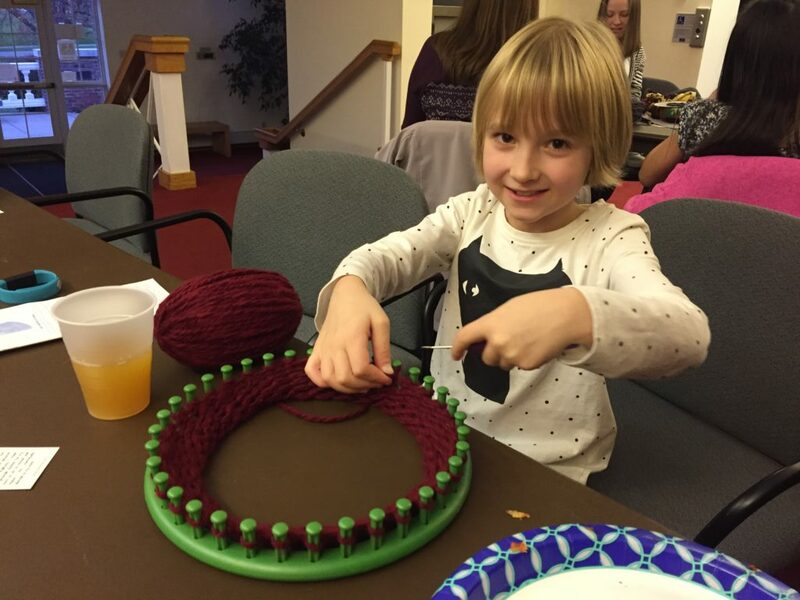 Designed to be a bridge between Children’s Worship and Youth Sunday School, this program allows kids to explore the Bible and our faith in fun and engaging ways that are targeted to this special age group. Service projects are also a big part of the work the kids will be doing together. 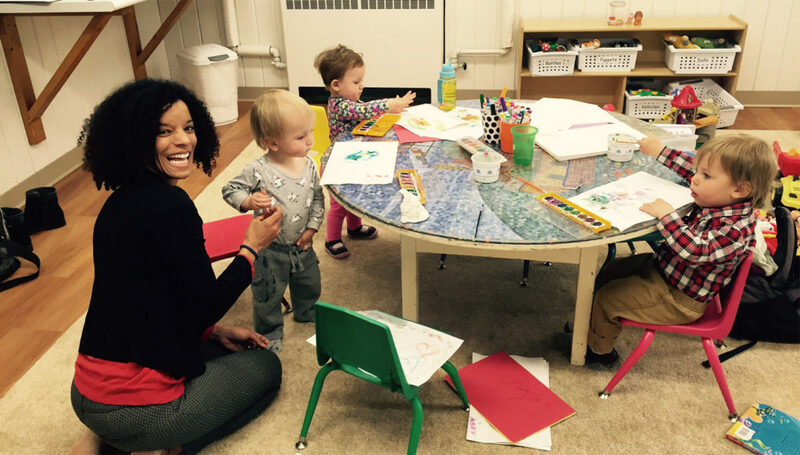 Our nursery is staffed by 2 caregivers each Sunday during worship. The nursery is available to children ages 6 weeks to 3 years old. We have plenty of toys and snacks for busy toddlers, as well as a comfy space for babies. It’s a fun place to be, filled with plenty of laughter and love! Parents and caregivers are welcome to drop their little ones off at any time during the service. There’s a sign-in sheet where parents can put their phone number so that the nursery staff can text them if needed. And of course, parents are always welcome to stay in the nursery too, whether to help their children adjust, to feed a baby, or just to play for a bit! 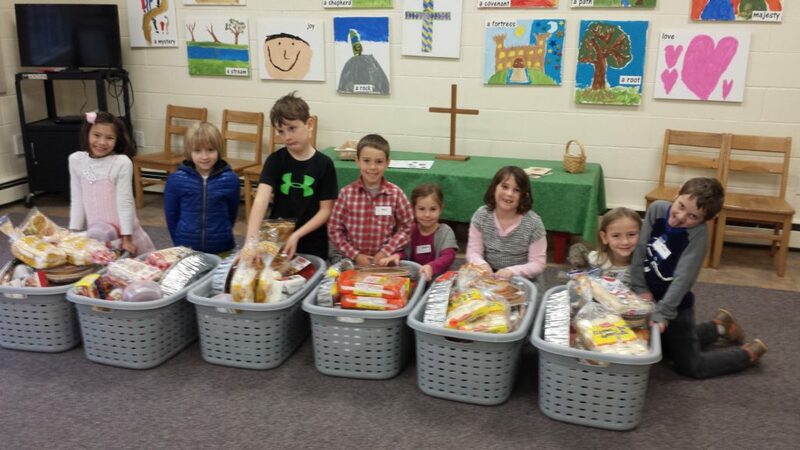 The church school children are involved in various service projects throughout the year such as Thanksgiving food baskets delivered to needy families in the area; the Warm Woolly Tree for collecting scarves, hats and mittens; making lunches for the Rescue Mission, gathering items for local food pantries, and collecting children’s books for at risk children. For more information, please contact Anna Sannes, Director of Children and Youth Ministries, or call the church office at 607-257-6033.